Receive a FREE 4×15 Bona Dust Pad with any Bona brand floor care product! You’ll also receive a special coupon code to use on your next order of Bona Brand Products! More info on this special offer HERE. 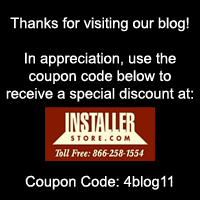 Look for the “Special Offers” badge on qualifying Bona Floor Care Products on Installerstore.com, or visit the main Bona page HERE. Limit 1 Free pad per order. While supplies last.